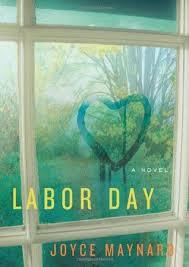 Labor Day by Joyce Maynard. Fiction. Everything changes for Henry, a lonely, friendless 13-year-old who lives with just his emotionally fragile, divorced mother, when a mysterious bleeding man named Frank–an escaped convict–asks for a hand and ends up coming home with them. Over the next five days, Henry will learn some of life’s most valuable lessons, about the pain of jealousy, the power of betrayal, and the importance of putting those we care about above ourselves—and that real love is worth waiting for. This is a quick read (young adult, I believe) and one of my all-time favorite books. You’re welcome. It’s a great little read. I find Joyce Maynard to be a very interesting person, in addition to being a fine writer. You probably know that when she was quite young, she spent time with JD Salinger. There are other writers in her immediate family. What a challenge to find your own voice in such a crowd of influences. I’ll look for this book on the shelf. Thanks for the recommendation. I knew none of the above, so thank you.